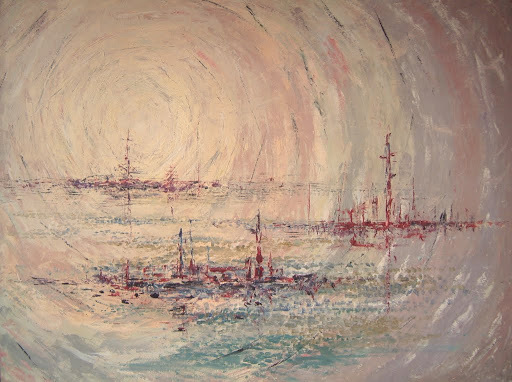 Abstract of ships at sea. This was RTH's first oil painting done with a palette knife. It represents "a feeling he had while on watch on the ship at sea in early morning." The original is 3' x 4'. I have it hanging in my living room. This one is pretty popular: RWH has an almost-full-size copy on display, and KSR has a smaller copy up as well.